New for March 2008! Liam Devlin contributed a much better explanation about double-balanced mixers, scroll down a piece and you'll see it! Double-balanced mixers are a workhorse of the microwave industry, providing exceptional performance over bandwidths from 2 to 22 GHz in one design. Below is a schematic of a double-balanced mixer. Here we've used the schematic symbol for a balun. Note the quad diode, these are typically fabricated monolithically so that they all have the same forward voltage. The RF and LO drive different nodes of the diode quad which give these signals natural isolation, and the IF is picked off of either one of these signals. 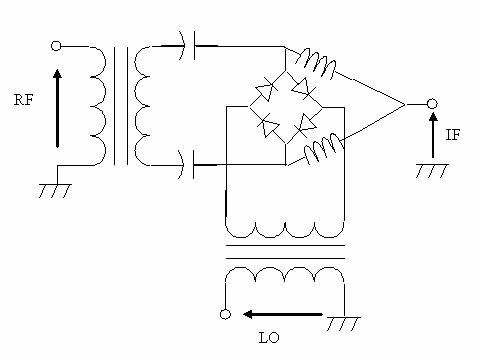 The pick-off is a low-pass filter, typically the IF is five to ten times lower than the lowest RF or LO frequency, and some inductance is all that is needed to isolate it. The two capacitors are used to provide a high-impedance block to the IF so that it stays off of the RF balun in this case. A really simple circuit, but in practice, there can be problems creating wideband baluns for microwave circuits. Here's a double-balanced mixer rule of thumb! For the best LO to IF isolation, always tap off the IF from the RF balun, not the LO balun. You should get 20 dB better LO rejection this way. A double-balanced switching mixer uses four switching devices (such as diodes, FETs or PHEMTs) arranged in a ring or star configuration. Both the LO and RF ports are balanced and all ports of the mixer are inherently isolated from each other. The advantages of a double-balanced design over a single balanced design are increased linearity, improved suppression of spurious products (all even order products of the LO and/or the RF are suppressed) and inherent isolation between all ports. The disadvantages are that they require a higher level LO drive and require at least two baluns. 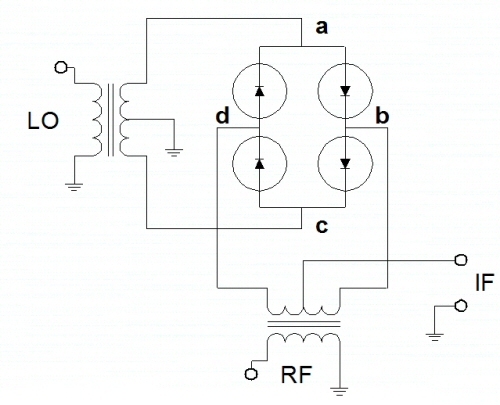 Figure 1 shows a block diagram of a double-balanced diode ring switching mixer. The functionality of the switching mixer can be understood by considering the LO to be alternately turning on and off the right hand pair and left hand pair of diodes in anti-phase. Points 'a' and 'c' are virtual earths (grounds) to the RF signal and can be considered as connected to ground from an RF perspective. Thus points 'b' and 'd' (the balanced RF signal) are alternately connected to ground (at points 'a' and 'c'). This means that an in-phase RF signal and an anti-phase RF signal are alternately routed to the IF port under control of the LO. The signal at the IF port is effectively the RF signal multiplied by an LO square wave of peak magnitude 1. This action is easily demonstrated using simple mathematical processing software (The Unknown Editor notes: we have another page on this topic which provides info on an Excel file that you can download). 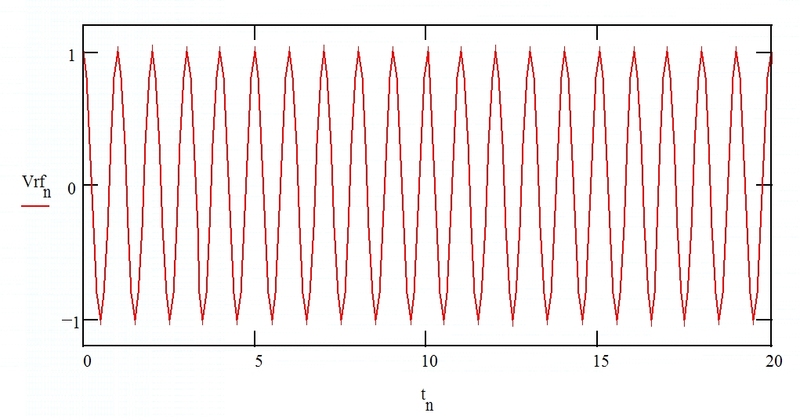 Figure 2 shows a sinusoidal voltage waveform at a frequency of 1 GHz, this is the RF waveform. 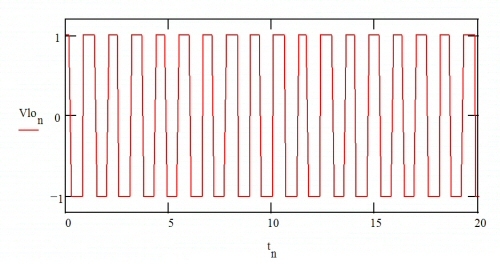 Figure 3 shows a square wave at a frequency of 870 MHz, this is the LO switching waveform. Multiplication of the two will produce a waveform with a strong component at the difference frequency (IF) of 130 MHz. 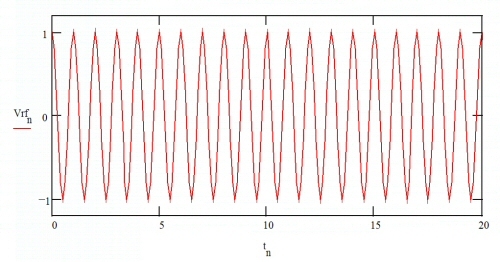 Figure 4 shows the result of multiplying the RF and LO waveforms. A low frequency sinusoid is clearly visible. This is a replica of the RF signal (i.e. a sinusoid) translated to the IF frequency of 130 MHz. Although this method of mixer analysis provides a good understanding of how the mixer functions, it is not adequate to predict the RF functionality. 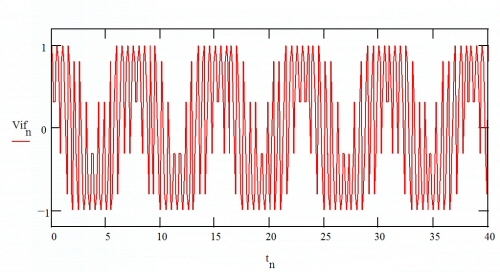 Ideal square wave multiplication, such as this, results in a conversion loss of 3.9 dB. In practice diode and FET ring mixers have additional losses (in the baluns and switching devices) and imperfections that increase the conversion loss actually achieved. A loss of between 6 and 8 dB is typical for a well designed mixer. In order to predict accurately the mixer's performance, large signal circuit simulation must be performed.